1. NBC is casting a net to find new comedy writers. Here’s the link. 2. 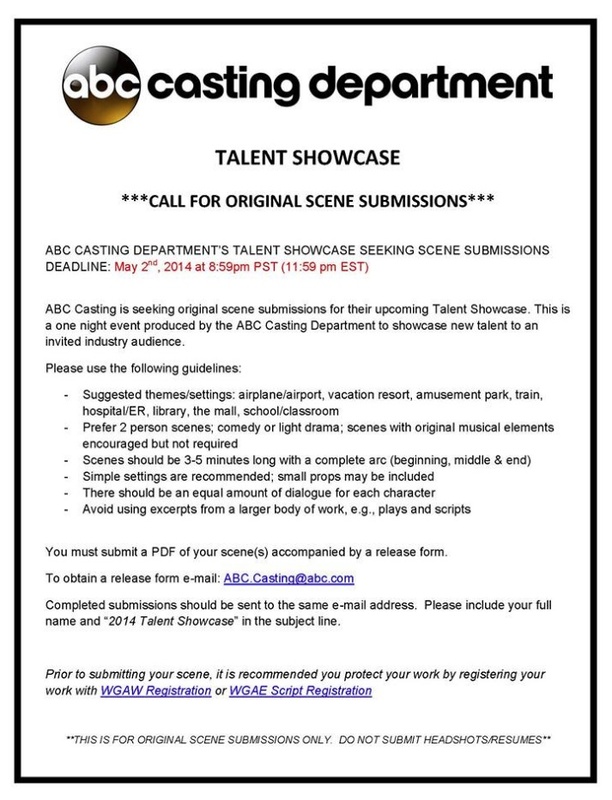 Disney ABC Creative Talent Development is looking for scenes for their talent showcase. You can find more info on their Facebook page, and because I couldn’t find a proper link, here’s a screenshot of the details. I’ll keep my eyes and ears open for any other opportunities! Writers, here is two opportunities for you. Are you going to take it? I entered the ABC contest. But, the other one, I feel nervous about trying to be funny on video, lol.